Sometimes when we catalog or check in or out library materials a book catches our eye and requires some serious perusal. More often than not this means setting it aside to check out and bring home. Cookbooks with insanely creative or intricate recipes and decorating ideas regularly catch me. 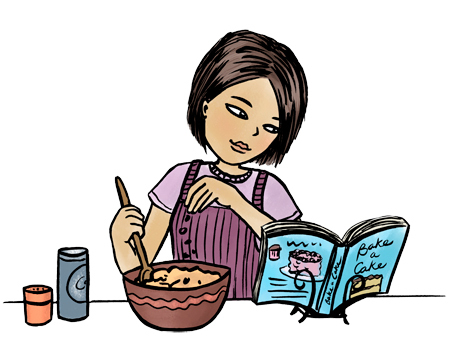 I love to bake and cook but do not have the time or energy to necessarily get fancy. I tend to worry first about taste and if I can get my family to eat it. However, looking at the wonderful ideas and execution in these books sometimes inspires me to get more creative, and sometimes just makes me wonder how anyone can eat something that obviously took some serious time and effort to make look so good. Here are some of the more recent cookbooks that have made me stop and look at their deliciously beautiful covers.